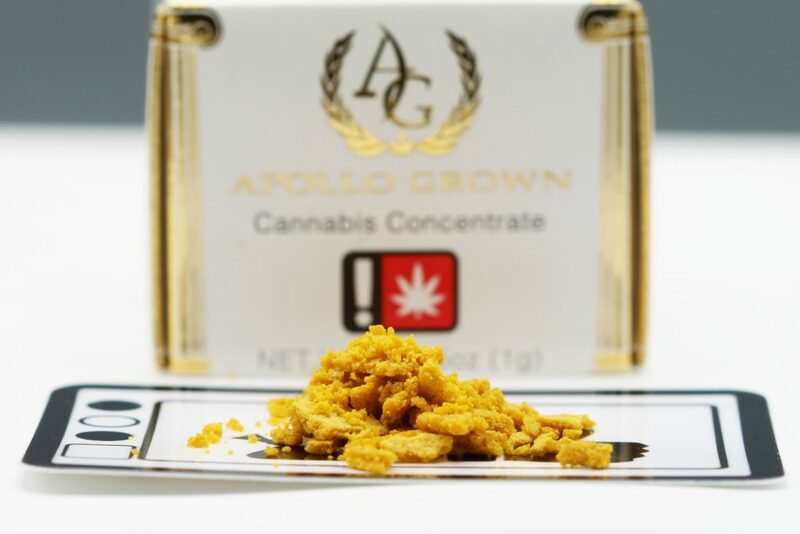 Appearance and Feels: The Jet Fuel OG crumble from Apollo Grown has a nice graham cracker like consistency and look to it that you can easily handle without much need for a tool. 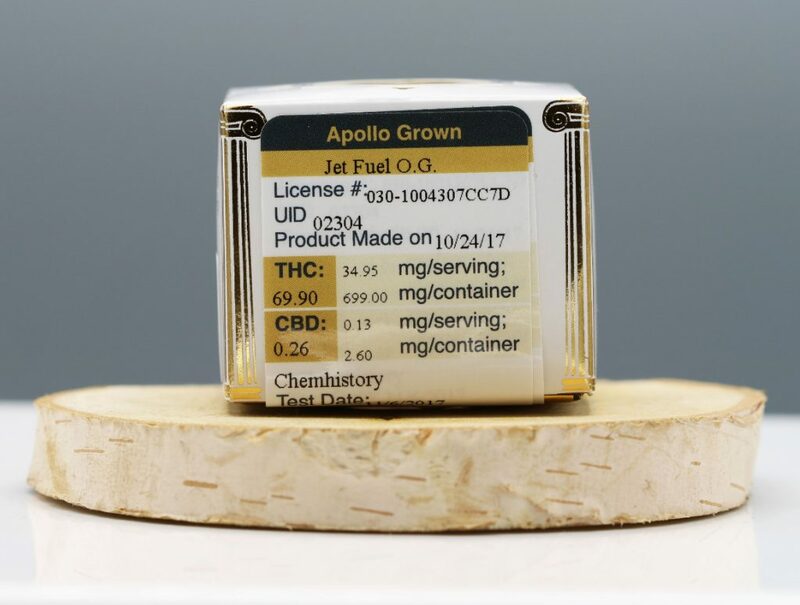 Smell: You can definitely smell the diesel aroma in the Jet Fuel OG, but it’s really a heavy mix of that and the earthy, pungent smell that’s common in a lot of crumbles. It’s got a smell that’s appealing to my sense at least. Flavor: That diesel smell becomes the background flavor with the more earthy pungent tastes showing themselves up front. It dabs super clean and for 40 bucks a gram, I don’t think you’ll find anything that tastes this good in the Oregon recreational cannabis market. High: The feeling is definitely more sativa leaning in my experience, and coming in at just under 70% THC there’s a solid cannabinoid profile there contributing to those feels. It’s happy and subtle, with zero anxiety and a nice mellow head high. Again one should always keep in mind that these are my personal experiences with the product, and what affects me one way may affect you in a totally different way. Overall: For the price point, the taste is on point as is the smell and the high. 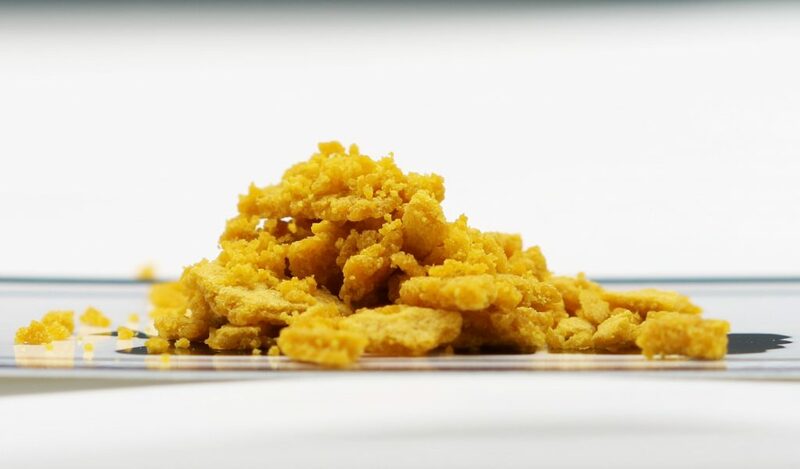 If you are new to dabbing, you might want to start out by putting some crumble on top of some flower, then putting flower on top of that. Start out with a couple of puffs to see how you are going to react. If you like it and feel you are ready to take it to the next level, then give yourself a little piece and heat up the banger. 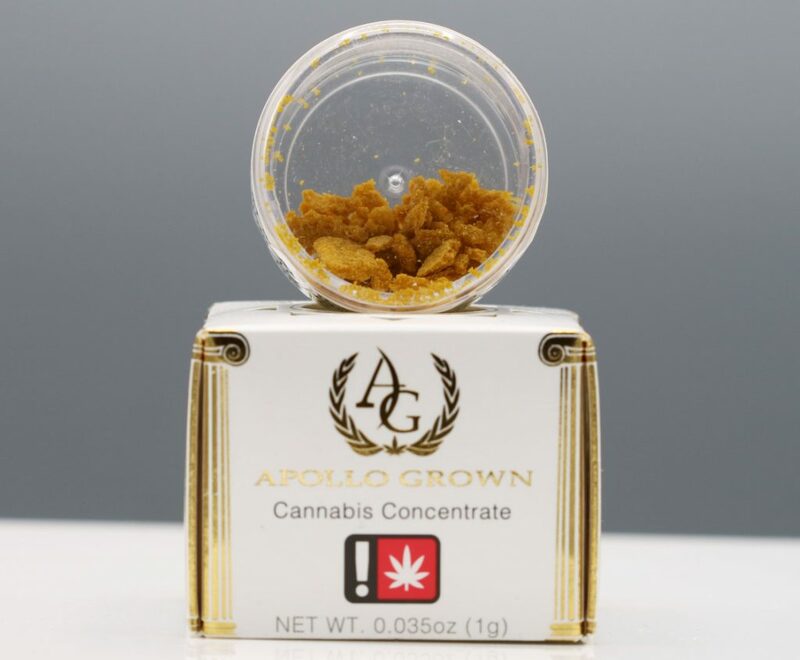 For me, dabs of the Apollo Grown Jet Fuel OG are stuff stoners like.